at Document Gallery in 2016. 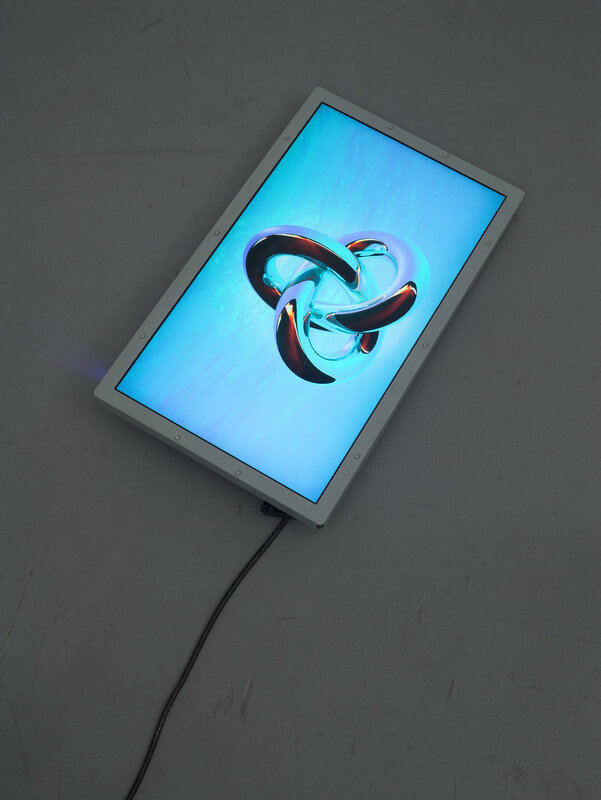 This body of work explores ideas surrounding transhumanism and cryonics through 3D modeled and hydroprinted sculptures, photographs from a subterranean bunker home in Las Vegas, and animations on deconstructed display monitors. Death Stress Implant Network Detour (DSIND), 2016. Custom display monitor, media player, 10” loop.